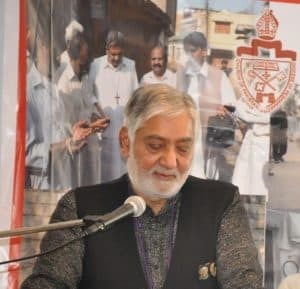 Bishop Mano Rumalshah, former Secretary General of the United Society Partners in the Gospel (USPG), who also served as the Bishop of Peshawar. This area covers most of the northern part of Pakistan and the border of Pakistan and Afghanistan – a refuge for the Taliban and one of the most hostile settings on earth. Bishop Mano will be preaching at St Edmund’s at the 10.45am service on Sunday 24th March. Come and find out more about the Christian communities who, under enormous pressures, continue to witness to Christ.